July of this year, the Build Power and Resilience (BPR) Team facilitated a Disaster Risk Reduction Orientation (DRRO) in Barangay 37 Reclamation Area, one of the barangays in downtown Tacloban hardly hit by super typhoon Yolanda. In attendance were members of the Barangay Disaster Risk Reduction and Management Committee (BDRRMC) and members of Kusog, CEC’s partner organization in the community. 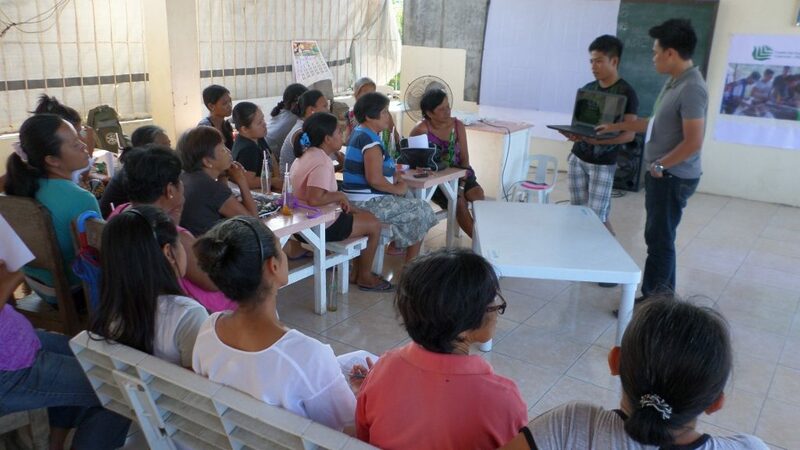 The activity was aimed at educating both the barangay leaders and their constituents’ basic issues and concepts on disaster preparedness in line with CEC’s Community-Based Disaster Risk Reduction Management (CBDRRM) program. “What CBDRRM teaches us is that communities should be involved in the decision-making process when it comes to planning and preparing themselves to mitigate impacts brought by disasters. Both the barangay council and their constituents, especially the organized groups in the community like our partner organization, Kusog, should work hand-in-hand in achieving a more resilient community,” BPR Coordinator Jessie Barcelon said. 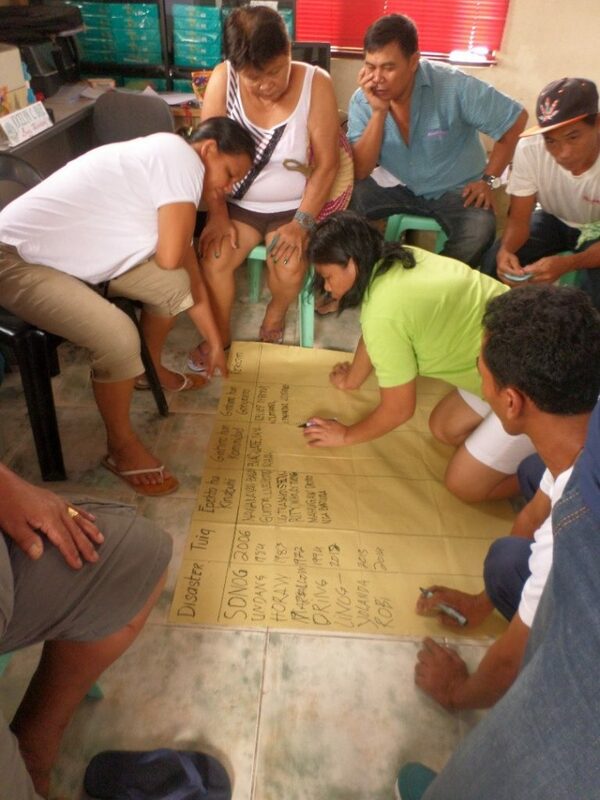 In a workshop dubbed “Lakbay Multicab,” participants profoundly recalled the different disasters the community faced throughout the years and their extent of damage, how the residents and the government responded to such, and their recommendations to mitigate impacts, if not eliminate, of such disasters. For example, the fire in the barangay, which transpired in 2007, was found to be one of the biggest fire disasters that ever happened in Tacloban, affecting not just Barangay 37 but also neighboring barangays. For Yolanda, Barangay Captain Danilo Arevalo said at least 50 residents died from the storm surge and wiped out most of the residential houses. The imposition of the No Build Zone and the resettlement of 72 households to Barangay Suhi, northern part of Tacloban, were also among the salient post-Yolanda occurrences shared during the workshop. As to disaster responses, all participants were consistent in saying that bayanihan (collective action) played a big role in their quest to rise above the aforementioned disasters. External help came mostly from non-government organizations (NGOs) while little help came from the government. Their recommendations, among others, were to come up with a resilient evacuation center where they can run into in case of disasters and purchasing of emergency response facilities. The Team also discussed factors and root causes of disaster vulnerabilities citing the 7.6 magnitude earthquake in Tacloban City last 2012 and the recent super typhoon Yolanda as examples. The Team explained that while our geographic location and topographical features exposes us to natural hazards such as earthquakes, storms and droughts, the extent of damage brought by disasters can be attributed by existing socio-economic and political factors. “The ultimate root cause of our vulnerability, however, lies not on our geographical but on our socio-economic and socio-political setup. While our susceptibility from natural disasters have proven to be inevitable because of our geographical location, the pre-existing economic and political instability plaguing the country have compounded the ill-effects of these disasters and made it hard for hazard prone communities such as Barangay 37 to rebuild their lives,” Barcelon said as he further discussed the country’s high risks to disasters. 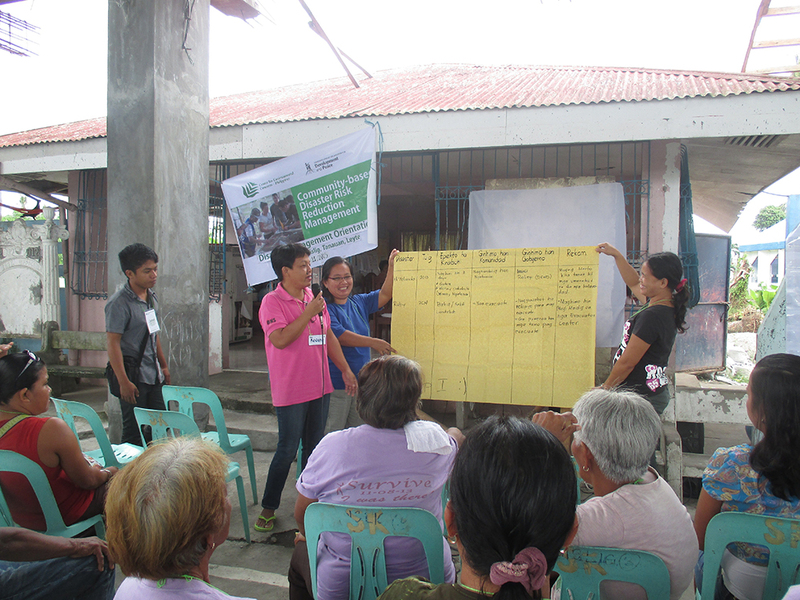 From this context, the participants shared their experiences where lack of economic opportunities and government support after Yolanda forced them to gamble their lives by rebuilding their homes in high-risk areas in the barangay, even despite their awareness that the community is prone to threat of fires, storm surges, flash floods and development aggressions. The participants also lamented that, almost two years after Yolanda, they are yet to receive the Emergency Shelter Assistance (ESA). Meanwhile, the barangay captain himself said that the promised permanent shelter is snail-paced as well as the government’s rehabilitation program in general. DRROs were also held in other urban poor communities in Tanauan, Leyte. BPR staff Barry Anthony continued to discuss the socio-economic and political roots of our country’s vulnerabilities to disasters during the power outage in the middle of the activity. Kusog members took a trip down the memory lane to share to the plenary how they recovered from past disasters. 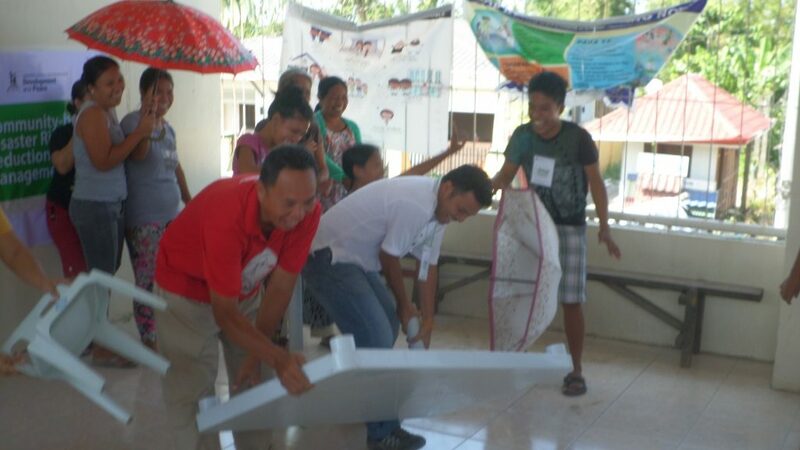 Barangay Councilor Antonio Flores of Brgy Cabuynan, an urban poor community in Tanauan, members of the Cabuynan Women’s Association and CEC Eastern Visayas Field Office Coordinator Owen Migraso shared a light moment during the “Balls of Disasters” structured learning exercise. Barangay volunteers of Brgy Bislig, an urban poor and fishing community in Tanauan, presented to the plenary their groups’ report from the Pagbabalik-Tanaw workshop.